Can you believe it's actually December. I can't. These may not be things I want to buy, or for people to buy for me, here are some things I really love at the moment. My local independent cinema recently (like last month lol) had another screening of the film "Amy" by Asif Kapadia. As I missed out on seeing it in the cinema first time, I went with my mum to watch it. I was incredibly moved by it, it was an emotional rollercoaster where we really saw the real Amy. She explicitly stated in one of her first interviews that she'd "go mad" if she ever became famous. I feel that happened and people were too busy trying to make money out of her then to help her. 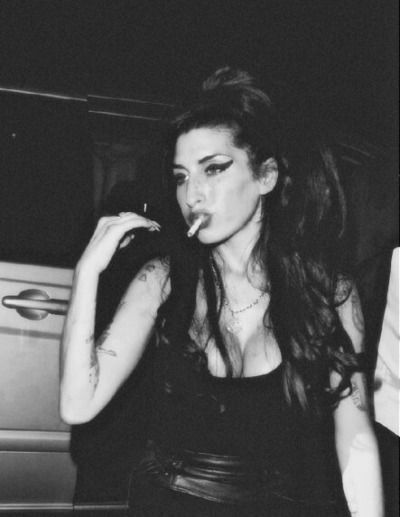 Since watching the film I literally haven't stopped listening to Amy's music. The film definitely gave me an insight into the creative process behind her music and all her influences. I've become rather hooked on Skins this past couple of months too. I've finished the first couple of seasons. It's so gritty and real, I love all the characters and the in depth episodes about them. I'm also seriously girl crushing over Effy and her pretty face. If you follow me on tumblr, you may have recently seen a sudden rise in my activity levels. I literally have become addicted. I've started following some good blogs and now I just scroll for inspiration. I have found so many new films and so many new books to read- all thanks to my friend tumblr. In art at the moment we are looking at containment. Being the abstract, totes open mind I am I decided to opt for looking at containment of stitches in fabric. Oooh so deep I hear you say. I'm mainly looking at artists such as Tracey Emin and attitudes towards Femininity in sewing/ needle work. Studying Tracey Emin has been really eye opening. I adore her work, and I'm totally digging her big sewing appliqué pieces. Finally, I'm really obsessing over the YouTube channel "Stumble Upon Tapes" who broadcast live sessions of new musicians. Safe to say I have discovered a lot of new musicians with thanks to them. So theres a low down of some of the few things I lurvee. I love Skins so much!! I've seen all the seasons like..three+ times. Also, Bobby T & the Slackers are so good!!! I saw them at a festival earlier this year and they were so great. I've never heard of that YouTube channel, but I just looked at it and they have live sessions of the coolest bands!! !